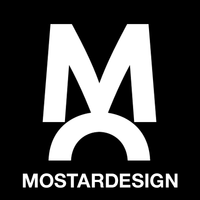 It was in the year 2004 that graphic designer Olivier Gourvat began experimenting with type design for use in his graphic design studio, Mostardesign Studio. With a focus on brand creation, custom type, illustration and advertising, his studio has worked on a wide variety of projects in the last two decades for clients across the world. With the creation of his first font, Visoko in 2009, Olivier’s focus shifted primarily to type design. “I use my work experience and my knowledge in the graphic design process to create unique and professional fonts to help designers and web designers create an effective communication for their projects,” he says. And it is with his past as a graphic designer in mind that he creates versatile type families like Sofia Pro, one of his best selling fonts to date. "I consider that the versatility of a font is the first step on the way to the success of a good global communication,” Olivier says. “A large family with a lot of different weights will convey a strong message to its audience while being easy to use on various media, whether print or digital."